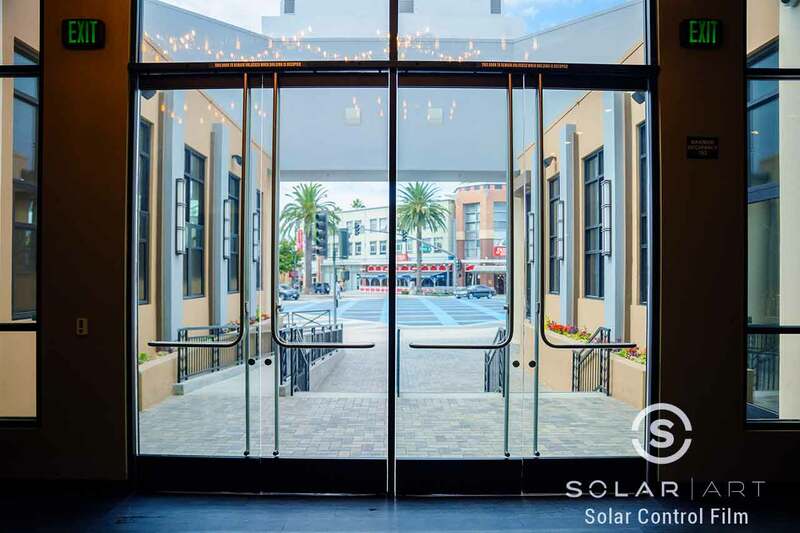 Solar Art installed solar film to the Brea Improv in Brea , California! We installed two different solar window films throughout the building. The customer was looking for heat blocking window film that would greatly reduce heat and reduce glare from entering the building. Brea Improv was getting complaints from customers about how hot the building would get in the afternoon and the afternoon glare was preventing them from being able to see their laptops. The customer wanted to reduce the heat and glare while not making the rooms too dark. Solar Art installed Vista window film in the lobby, the windows in front of the bar and stage as well as the windows in the back bar. We installed a Llumar exterior window film to the upper windows of the building. Vista window films are light blocking window films as well as a sun blocking window films. The specific film we installed blocks 54% of the heat and 62% of glare. It still allows in some natural light which will help keep the rooms from getting too dark. We installed an exterior window film that reduces 63% of the heat and 73% of glare. The Llumar exterior window film we installed is a more reflective film that is almost like a one way privacy window film or a one way mirror window film. The customer did not want that throughout the building because he wanted people to be able to see in, so he had it installed on the upper windows only. All solar films protect against 99% of UVA and UVB rays and protect against fading. This particular installation was done at a commercial building, but Solar Art also frequently installs solar film to homes. Solar window tinting makes the window more energy efficient which will lower energy bills and utility prices. You may even be eligible for a rebate through your utility company! Interested in Commercial Solar Film? 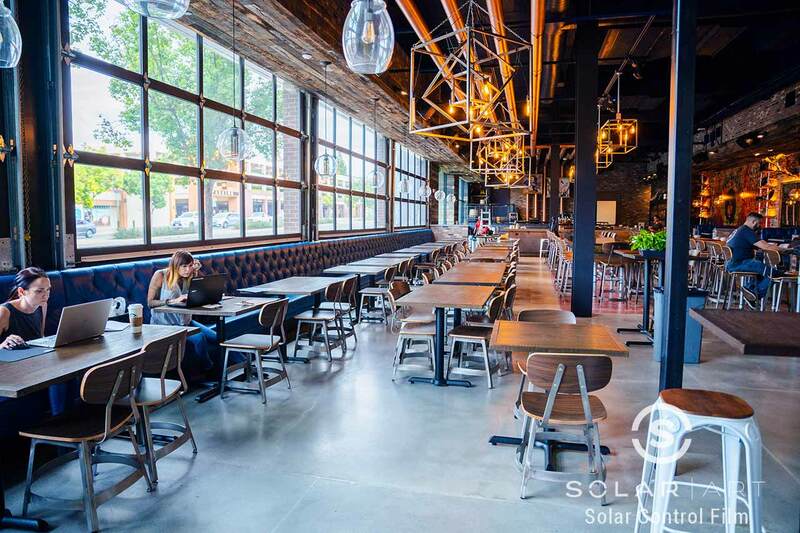 Contact us directly to learn more about commercial solar film installations! Solar control window film for commercial buildings is a fast, cost effective way to increase the efficiency of your glass. Contact Solar Art to learn more!